I am Jeshua. I am here to help you connect with your own deepest self, your Christ-self. For a long time you have looked up to me as a master and a teacher who leads the way, but I am here to hand the torch to you. It feels good to be here; to be among like-minded people, among friends. You are dear to me, I love you. You are born into a reality that has become disconnected from Reality. The connection to the higher, with your own core, your soul, has been lost. That disconnect has become institutionalized in society: in education, in counselling, in medicine. It is the lack of connection with one’s own soul that hurts you most deeply and makes you unhappy. But I am here to assist you in recovering that connection; in believing once again in who you really are and in experiencing the joy of it. Connect again with the sparkling fountain of light that is alive in you, that is located in your earthly being: in your body, your mind, your heart. I encourage you to join with me in this feeling. First of all, sense the ground beneath you, feel the energy of Mother Earth. Feel the richness, the sheer beauty of nature and the living things in it; they are part of you. The plant, animal, and human kingdoms need to be one whole, and enrich and support one another. Make that connection now with the Earth, with your home. Feel the energy from under your feet flow into you from the living Earth. She welcomes you here and salutes you as someone she knows. She wants to embrace and support you, both your body and your spirit. She wants you to realize that you are a child of the Earth. Feel how naturally free and sparkling life is. It does not seek anything; it just is, yet it is always changing, always in flux. Allow that sparkling energy to now move up to your pelvis and your abdomen. See if you can breathe into that area of your body, so you consciously connect to the Earth’s energy flow. You are children of the Earth. Without that realization you can change nothing and you can also not truly live. From your head and your mind you can theorize, you can analyze and apply concepts, but doing that will have no actual power or longevity within you if you do not cooperate with the dynamic flow of the life of nature itself. So welcome your own abdomen. Welcome the life in you that is so unpredictable and sometimes seems to have a will of its own. To that life also belong your emotions and feelings, so let us now connect from your heart with them and make them welcome. You are afraid of your own feelings, because you have been taught to control them with your mind. However, there is a desire within you: a certain wildness, a desire to break free, to be really free, and when based in the living Earth, that desire is the most natural ever. But when based in the limitations established by the disconnected human world, then you mistrust your own desire for freedom, and your own sensitivity. You no longer believe in them, so you hardly dare to be present in your abdomen, and you are also often a stranger to your heart. Your greatest task in this life is to embrace yourself as a human being who is a part of nature, and to inhabit your own heart and abdomen completely. Doing so brings light to the Earth. When enough people manifest their light in this way – as a living human being with an open heart who is deeply rooted in their abdomen – the more the old systems of power, fear, and corruption collapse. There will be too little to support these systems; there will be too much light, thereby causing these systems to collapse. But the change comes from within your entire being; it cannot be imposed solely from your head. Change can truly take place only from a living connection with your earthly self. I want to now help you to more directly heal the connection with your own living self. And the best example of vitality, naturalness, and innocence is a child who has not yet been shaped by society or by education. You were once a child on Earth, a sensitive child; a child with a particular consciousness. You were born with a certain inner knowing and sensitivity in your heart that was natural for you, but was not natural for the people around you. Your parents were burdened with fears, with restrictive ideas from the past, and, as a young child, you were affected by them while you were growing up. That was your first encounter with the human world: the world of fear, confusion, darkness; a world with a poor connection to the uniqueness of the soul. Go to this child within you. See that first moment of confusion in the face of your own inner child. Feel what it was like when that child was pure; when it was still connected to its own heart and abdomen; when it was a child of the Earth and felt it. The birth family is one of the biggest causes of bewilderment in your life; a veil which falls between you and your own soul, your authentic self. As a small child, you are deeply attached to your parents; you do not even see the difference between you and them. There is a lack of boundaries, which makes you especially vulnerable to influences from your birth family based on fears. Unconscious fears, perhaps; but, nevertheless, they affect you deeply, because you had not yet any well-defined boundaries. When you hold the child in yourself, and the wounding it has suffered, clearly in your vision once again, you can hold it close, in your own control, so to speak; you can bring the lost child Home. See if you can see it before you; see if you can find a child in you that is lost and that needs you: your heart, your inner knowing, and your firm roots. Invite that child to take its place in your abdomen, to find repose there and to feel its grounding. Come Home to yourself; embrace your shadow parts, for the shadow is not real. You are confused; you have begun to doubt yourself and the fountain of light that you are. But it is now time to wake up so the light may flow again. The soul of the Earth calls you. She wants to work together with you to create a new energy, a wave of renewal on this planet. You are lightworkers. Your souls have heard the call for change, not only in yourself, but also in the natural realms of the Earth and in the heart of humanity itself. There is a lot of pain and suffering in the world, and you know that sometimes you feel powerless to change anything. But you are a bright spot in this world – be certain of that! Enjoy your open heart, your opened-up self. Feel it again! Many of you have done much inner work and have done so for years, sometimes decades. You have spent time looking at the dark parts in yourself, investigating the fear and limiting beliefs. You have released and freed yourself from much; yet, when I look at the group of lightworkers who are here on Earth, I see that their biggest fear, or dilemma, is about expressing themselves in this world. You have become free inwardly and made huge steps forward; you have been very honest with yourself. But when it comes to putting forth this light, this consciousness, into your surroundings, then you feel resistance within yourself, especially fear. You still have the fear of deviating, of being different; the fear of being rejected or punished for who you are. Those fears often come from ancient times, even from other lives. I want to stress here that there is now space for you in this world. You can go outward with your soul, with your light, and that is the only thing that can make you really happy. You have now progressed in your inner growth to such a degree that you no longer are satisfied only with inner growth and becoming conscious. I ask you to now look at your daily life and feel where you hold back your own strength or your own light, either at work, or in personal relationships, or with your family. See what spontaneously comes to mind as an aspect of your life where you do not show your true self. And you may experience a feeling of anxiety or limitation when you think about doing this. But do not forget that your true self is an earthly self: it is full of life, full of joy; it is creative. Feel this true self in your body. Where does it feel restricted? Ask yourself if you can think of one step to take, one concrete step. And with the word “concrete”, I mean a visible, tangible step that allows you to create an opening here, so that you can allow more of yourself to be visible and manifest in this world. Maybe it is going to be an emotion that you express more clearly to another. Maybe it is going to be something you want to give to yourself that you have denied yourself out of false modesty. Maybe it is going to be a plan that you have saved for a later time, but which has never materialized. Allow yourself that step and feel the joy bubbling up at that idea of freedom and aliveness. This is the next step for you: pride in who are in this world. Be a teacher, be a pioneer; no longer hide yourself. Be confrontational if that is necessary, but feel how you do this from love and awareness. You do not have to make the world a better place. There is no need to be overly assertive or ambitious when stepping out. It is more about the effortless flow of yourself, such as an animal or a tree that simply is. I greet you all from my heart and I ask you to feel our combined energy, our friendship. We are equals; we are connected. Ones. The mighty archangels cleansed by earthly body and am written into the book of life. I was taken my Malkiesadek before God and assigned to be a high priest before God himself. I pray every day I can fulfill my roll as Jesus did! Magdalene was a witchcraft and superstitious practices ethnic group. Two thousand year ago, they did evil to Yeshua ben Joseph with a kind of dark magic of subconscious precursor alike. It seemed like Jesus did not know her, but in fact, her action aroused his vigilance. Still no criminal behaviors were found later, since God in Kingdom took her witchcraft action as a matter of slight consequence. The reason why they did not investigate the event was that she hid the truth she had done this dark magic on relative individuals and space beings without realizing it. In August 2014, she did witchcraft to me though I did not know her. In 2015, 2016 and before, she did dark magic on human beings and took my body as intermediary to control human bodies and soul of space beings and fudged false stories or wrong information. Besides, she rewrote texts and contents in the Bible available on Google. Today, after two thousand years, the witchcraft is extended to the whole sky and does harm to Heavenly Father’s body badly. This kind of precursor is unknown previous. It will be difficult to convince people that there is such a person ever exist unless she hurts and controls human beings practically. She is a evil gost IN HEAL. If the info in this article was ‘chanelled’, then there’s a pretty high chance it was from a demon disguised as Jesus, trying to fool you into self-worship and turning away from glorifying God. Wake up. The scriptures don’t tell us primarily of our own power, but of God’s power and that evil spirits are endlessly cunning and deceiving. “Test the spirits,” says the Gospel of John. Through scriptural tests, we can discern fallen angels from true angels – tests like telling them to confess that Jesus is “messiah, Saviour and Lord” and that satan is the “father of lies”. The scriptures also say at some point(s) that our own hearts are deceptive – our hearts are vulnerable to lies! evil spirits will tell you whatever you want to hear if it makes you feel amazing, as long as it turns you away from being completely dedicated to the one true God, whose Body is Jesus, whose Mind is the Father and whose Spiritual energy is the Holy Spirit. 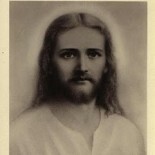 Sananda is a FAKE JESUS, or so I hear. This entry was posted on November 26, 2016 by Indian in the machine in Uncategorized.